Traditional woodworking comes together with superior design in this Mountain Oak office with a Natural finish. Precisely crafted carcases and glorious Oak wood veneers add up to classic fitted furniture that is a subtle as it is inviting. 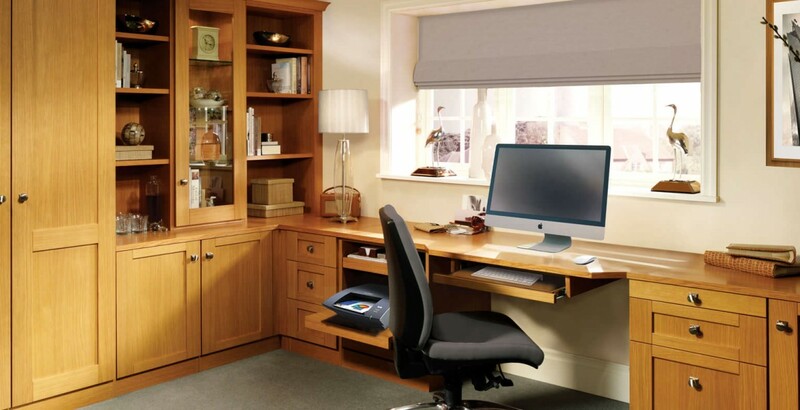 Your bespoke Mountain Oak office will include thick frames, along with door and drawer moulds in solid wood set against centre panels with delicate wood veneer. Each design can be configured to meet your exacting standards.